What? Oh hell no. Previously rumored, now a done deal. Scarlett Johansson has officially signed on to star as cyborg cop Major Motoko Kusanagi in the live-action Hollywood adaptation of Ghost in the Shell. According to Variety, Johansson is set to star in DreamWorks' remake of the seminal Japanese animated sci-fi action classic. It was previously reported back in the fall that Johansson was offered the lead, but was still undecided about taking the role. Sources now say she's in. As you already know, I'm not crazy about this casting. But with an A-list actress like Scarlett Johansson starring, this looks more and more like it's definitely going to happen. Fans, brace yourselves. "Lucy" made $394 million worldwide and Johansson can be seen next in "Avengers: Age of Ultron," bowing in May. Johansson has also done a nice job of balancing action-heavy tentpoles with serious dramas and comedies. Based on the manga by Masamune Shirow, Ghost in the Shell follows a Japanese public security agency's hunt for a mysterious hacker. Produced by Avi Arad, Steven Paul and Mark Sourian, with a script by William Wheeler, the remake will be directed by Snow White and the Huntsman director Rupert Sanders. Will the movie be set in future Japan? Probably not. Will Scarlett Johnasson's super-cyborg cop character be named "Motoko Kusanagi"? I doubt it. I'm sure they'll find a way to conveniently scrub out these elements. So yeah, they're whitewashing Ghost in the Shell. This was inevitable, and nothing really new. Hollywood continues to hammer away at iconic Asian properties and westernizes the hell out of them, routinely swapping out Asian faces with white ones. That's just the business of Hollywood, usually with lackluster results. If you're going to do it, you could at least try to do it well. Do I want to see a live-action Ghost in the Shell? I certainly wouldn't mind. 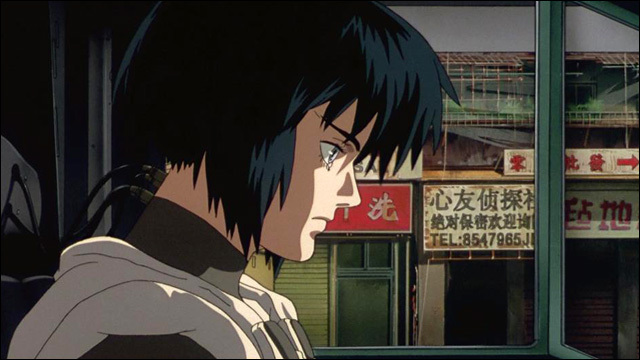 But am I the only who thinks if you un-Japan-ify the world of Ghost in the Shell, it loses a little bit of its soul?